Spend Matters has named Corcentric a Provider to Watch in 2018; a designation that signifies our company’s commitment to procurement solutions that are both innovative and impactful. The days of procurement being solely about pricing and contract negotiations are gone. Procurement professionals are expected to play a strategic role in the growth of their company. To do that, they need streamlined and more accurate processes, along with full visibility into all of the enterprise’s spend. Corcentric understands that it isn’t just about what you buy any more; it’s about how you buy it. Our solutions provide the tools, insight, and expertise necessary for procurement specialists to optimize their purchasing process. The fact that we’ve been recognized by Spend Matters as one of its 2018 50 Providers to Watch lets us know that we are not only accomplishing our goals to better serve our customers, but we are regarded as a best-in-class provider and innovator. That we’ve achieved this recognition two years in a row is especially gratifying. We know that when it comes to finance within an organization, so many functions are now interconnected and interdependent. We are committed to continuing to demonstrate our expertise in the procurement space coupled with our drive to innovate how our customers can best reduce costs and improve working capital. For more information about our designation as one of Spend Matters 50 Providers to Watch, visit our website. 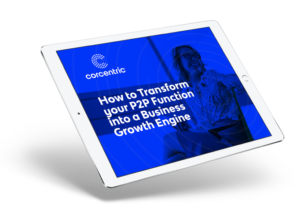 See how Corcentric has the solutions to optimize your purchasing processes: from fleet procurement to capital equipment procurement to indirect procurement and more.